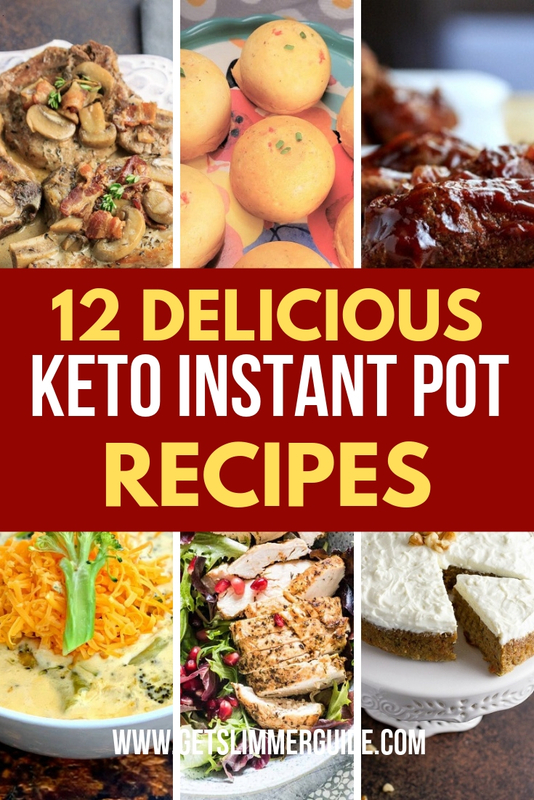 12 Delicious Keto Instant Pot Recipes for Weight Loss! Easy and Mouth-Watering Keto Instant Pot Recipes for Weight Loss! I will be sharing some yummy keto Instant Pot recipes with you today. If you are looking for an easy and time saving way to cook your keto meals, then Instant Pot may be what you need. One of the reasons why most people fall off the wagon when on a diet program is, because cooking can be very time consuming. Truth be told, I like SIMPLE and EASY. Oh yeah, call me lazy, but I know a lot of people do too. I also believe that people are more likely to stick with a weight loss program if they find it simple and easy to implement. So, if you are like me, I have good news for you. With Instant Pot, you can cook your meals in a fraction of time without compromising the flavor or the taste. Very convinient isn’t it! Remember, it’s important that you remain in ketosis, for you to lose weight on the ketogenic diet. And using the Instant Pot to cook your meals will go a long way in helping you achieve that goal since it makes cooking a lot easier. 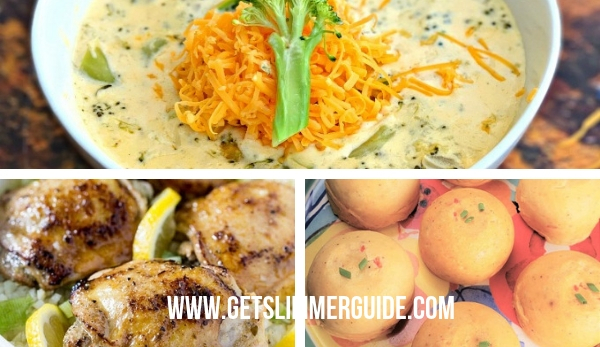 And I have searched around the Internet to find the most mouth watering Instatnt Pot low carb keto recipes to share with you today. So keep reading to find out! 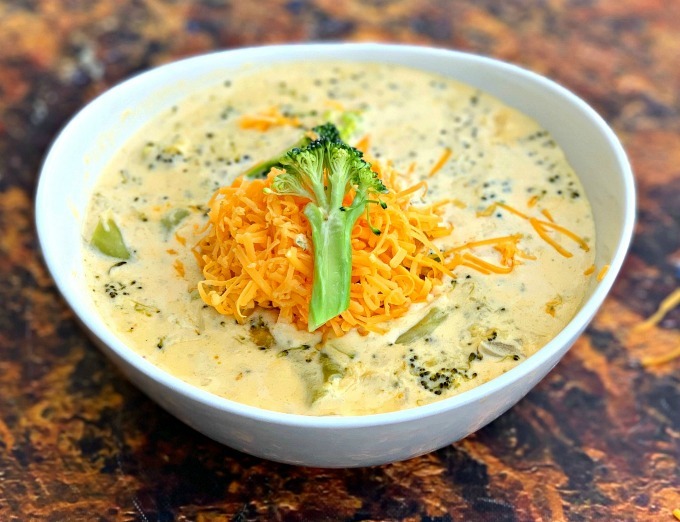 If you like Panera Broccoli Chedda Cheese soup, you will love this copycat Keto version even more. It’s yummy, healthy, cheesy, gluten free and keto friendly. And making it in an Instant Pot gives it the perfect texture. However, you can also make it on stovetop. The stovetop instruction is included in the recipe. This soup is what you need on cold weather days, but you don’t really need the weather to be cold to enjoy this tasty creamy soup because you can eat it all year round, no matter the weather. 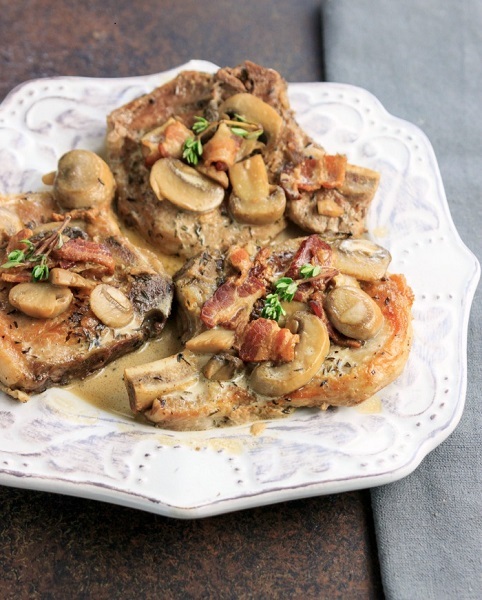 Cooked in a delicious creamy bacon mushroom sauce, these Intant Pot keto smothered pork chops are succulent, full of flavor and make for a great dinner. And it’s so easy to make. Takes a total of 21 minutes to make (prep + cook time). This pot roast is both comforting and fork-tender. Instead of starchy potatoes, this dish is made with low carb veggies (radishes), mushrooms and some spices for flavor. It’s flavorful, delicious, filling and most importantly keto friendly. I love me some juicy ribs and this keto Instant Pot country pork ribs sure look yummy. If you want tender and saucy, then you will love these boneless country style ribs. 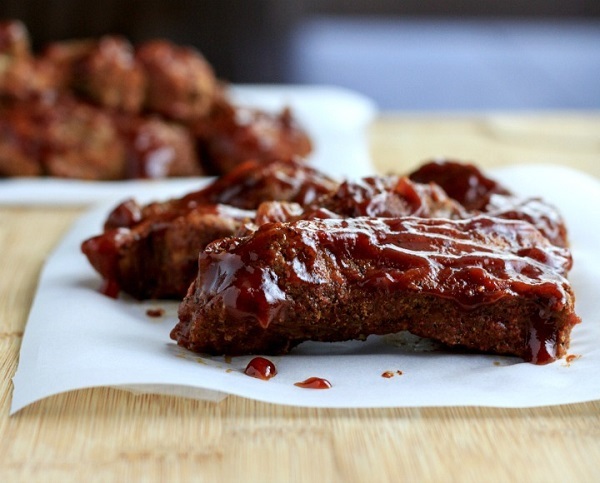 And the recipe includes a low carb BBQ sauce with a paleo version. 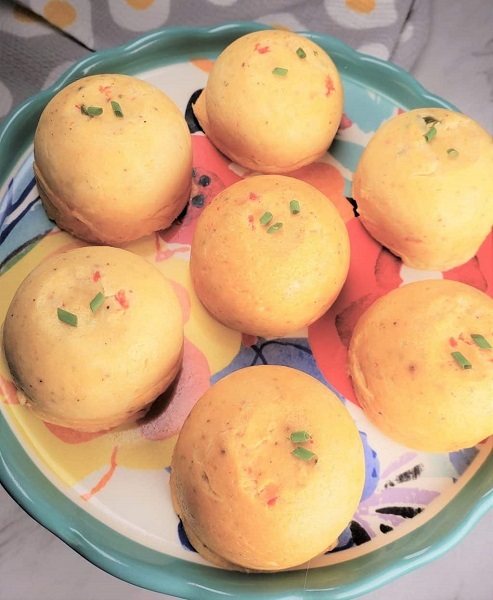 These Instant Pot egg bites are inspired by Starbucks Egg White Red Pepper Egg Bites, but with a unique Greek flair. And unlike the Starbucks’ version, which is made with only the egg white, this copycat version is made with the whole egg. Apart from their deliousness, what I like most about instant Pot egg bits is that they are so simple and easy to make. These take only 5 minutes to whip up. 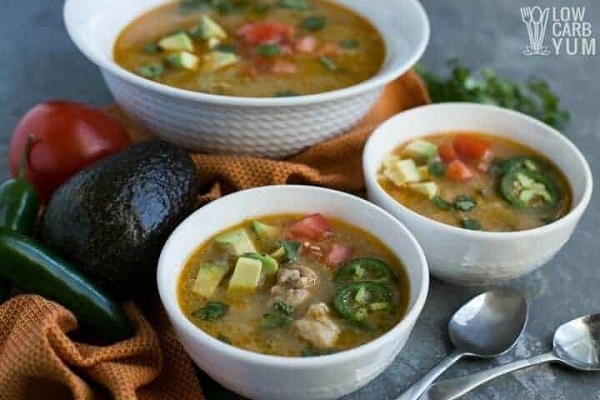 This Instant Pot white chicken chili recipe is both paleo and keto friendly. It is the perfect dish to warm you up during the colder months. Not that I would mind eating it at any other time! I can eat soups any day, any time as long as it’s delicious. 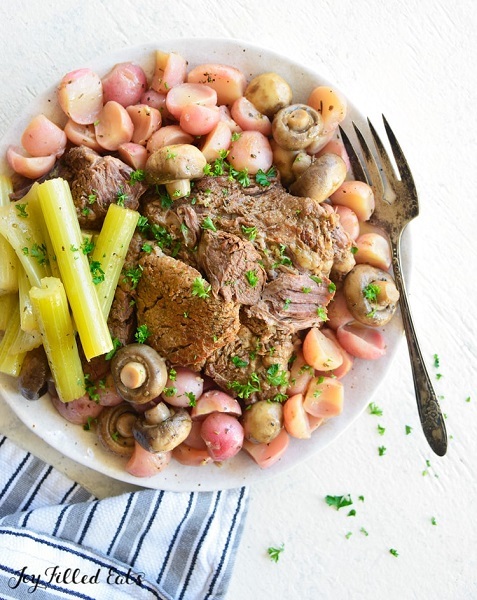 This is another flavorful, tender and delicious pot roast. I’m already drooling! Serve this with cheesy mashed cauliflower and a little gravy sprinkled over the top and you are sure to satisfy even the pickiest eater. 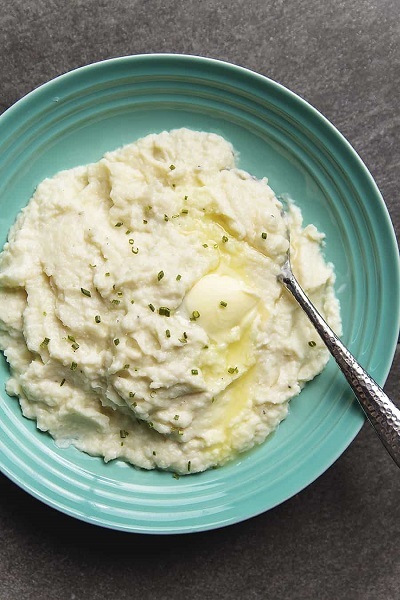 If you don’t like mashed cauliflower because it doesn’t puree super smooth and ends up watery, then you should try this Instant Pot mashed cauliflower recipe. The Instant Pot makes the cauliflower so soft that it purees so smooth. Do you shy away from making chicken adobo because it takes a lot of time to cook? Well, you don’t have to feel that way any more. Instant pot helps you cook this delicious Filipino chicken adobo in a fraction of time, while retaining the original flavor. This is another keto friendly Instant Pot chicken meal you will love. It’s flavorful, moist, tender and yummy. Another chicken dish? Yeah I know! 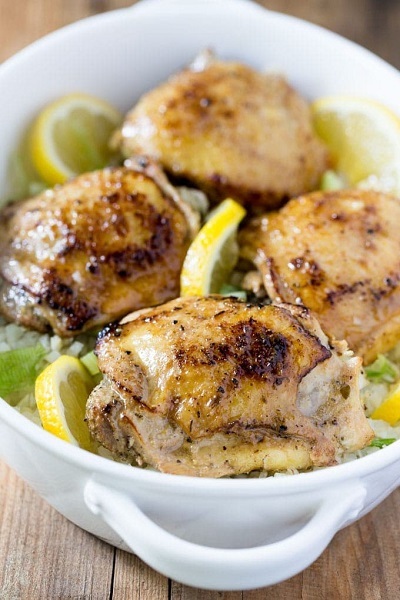 But this Instant Pot Greek chicken looks so yummy that I couldn’t resist sharing. And with about 5g of net carbs, it is a perfect low carb keto chicken dinner everyone should try. This list of keto Instant Pot recipes won’t be complete without a dessert. I’m one of those people who cannot resist desserts and I know most people are like me. Truth is, being on keto or low carb diet shouldn’t prevent YOU from enjoying a dessert. 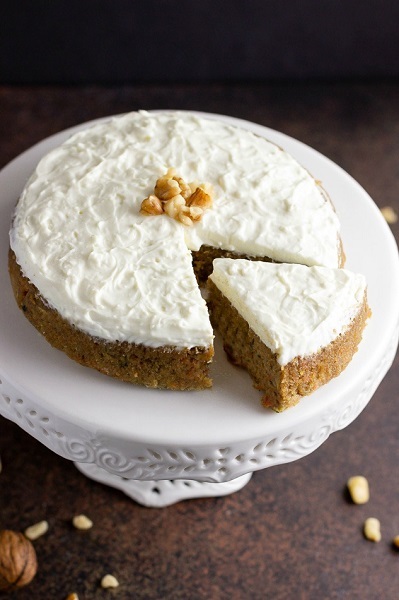 And this Instant Pot carrot cake meets all the criteria. It’s rich and moist with a sweet creamy cream cheese frosting, and best of all, it’s low carb and keto friendly. 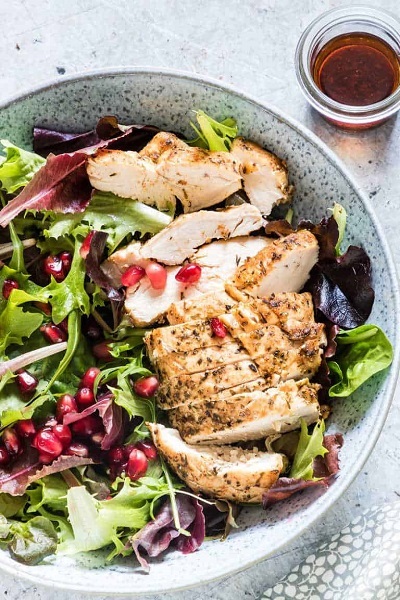 So there you go – 12 delicious Instant Pot recipes to help you lose weight. Did you find a recipe you like? Leave your feedback in the comment section. C. Dike is the owner of GetSlimmerGuide.com. I'm in business as an affiliate marketer and recommend products on this website for which I earn a commission. I hope this disclosure demonstrates my intent to run an honest and reputable business. GetSlimmerGuide.com is a participant in the Amazon Services LLC Associates Program, an affiliate advertising program designed to provide a means for sites to earn advertising fees by advertising and linking to Amazon.com.